With the fall quickly approaching, so is the Hockey and Football season. Here at Cordick Chiropractic we encourage you to get out and be active. Keeping in mind to play safe and wear your helmet. Helmets should be fit to each individual and sport, being changed as your child grows. If your helmet is getting old, been dropped a lot or has sustained a hard impact, it may be time for a new one. Protective equipment, such as helmets and mouth guards do not eliminate your risk of experiencing a injury, however they can reduce the of structural injury to the head and face and should be used whenever possible. 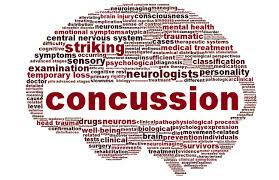 If you think you or someone close to you may have a concussion. It is important to be evaluated by a Health Care Professional right away!